My wife, Karen, and I just finished watching the TV series Lost. (Yes, we are on top of things in pop culture, clearly.) We watched it on Netflix, so that means we got to watch the episodes in close proximity to one another. This means that our experience was different than anyone who might have watched it during the original seasons -- which, at one point, were even interrupted by the writers' strike in Hollywood. I have heard three reactions to the series: 1) "It was stupid and I stopped watching it;" 2) "It was good but the ending was stupid" and 3) "Meh, it was just entertaining." I also get the sense from friends on Facebook, who were being kind enough to avoid spoiling the end, that there may have been some annoyance with the spiritual aspect of the show. Before I tell you what I thought, I want to point out two things. First, I wholly subscribe to what we lit. majors call "the intentional fallacy," which essentially says that it doesn't matter what the author intended to get across in terms of message; all that matters is that we interpret logically because there are many differing -- but valid -- interpretations of one particular work and what the writer says about it is not necessarily "right." Second, what we bring with us into a reading (or viewing) of a story is going to affect out interpretation -- and that is okay. These two things contribute to the magic of story and to the idea that I referred to, on Friday, of "intimation." In short, the flower of story blooms in the soil in which it is planted: the mind of the reader (or viewer). No one can be "right" and that is cool -- as long as the reader is not completely illogical and baseless in his or her interpretation. That said, something fascinating happened during the day before we watched the last episode of the series: We were in the car and I put on an old Phil Collins CD for my sons to hear. When the sax player, Don Myrick, of the legendary "Phoenix Horns," took a solo, a vivid teenaged memory flashed into my mind's sight: my father, a trumpet player, composer and arranger, threw the door to my room open and, upon hearing this sax solo playing on my stereo, poked his head through the door with his hair all awry from a good towel-drying, post shower, and exclaimed: "Whaaaaaaaat?" (He'd been deeply impressed by Myrick's tone and he was surprised, because Collins wasn't his "thing.") This is a fond, comical memory and it resonates with me, deeply, because any time I got my dad's musical approval as a teenager (even by association of his thinking something I listened to was good) I would be aglow for hours. As anyone who reads this fairly regularly knows, my father died late last year after a bout with dementia. It's only now that I have started to completely think of him as the Joe Matarazzo ("Joe Matt") who raised me. It has taken months to knock down the wall the horrible condition of confusion built between us in the last few years and to truly connect with him again. These memories make me feel closer to him, in death, than I did to him while he was alive in the last few years. In a brutally paradoxical way, death has given my father back to me. This, I think, among other things, is what Lost is "about:" the idea that the connections we form in life transcend even death; that we create bonds that amount to a "place where we can be together again" after death. That place is not limited by whether we or our friends are alive or dead; nor is it a heaven that we need to get to by dying; we are all, based on our bonds to each other, together in this parenthetical world which we create, together, from the first moment we become important in each other's lives. Heaven, in the traditional sense, is the next step. 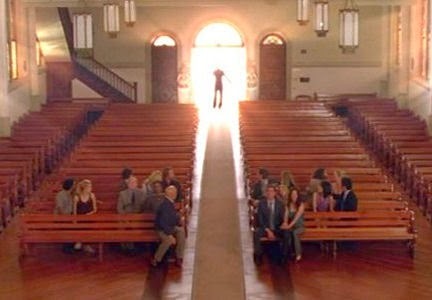 The church in which Jack and his friends sit at the end of the final episode (very carefully filled with symbols from every major religion) represents faith, but it also represents love and friendship -- that pre-heaven we create while we are alive; the one that keeps us connected to each other, whether dead or alive. The traditional heaven remains the mystery that it is. Abrahms and his people clearly steered away from presuming to tell us what heaven is because, obviously, people of faith have differing perceptions. Lost is not a vehicle for Christian evangelism, despite the name of the character Christian Shephard. It is an affirmation of faith and love and, to steal a concept from David Eagleman, "possibilianism." And in the last few episodes, the character of Desmond sets about helping the characters, who exist in a parallel world (what Lost fans tend to call the "flash-sideways" world), to remember their connections to people on the island itself; to remember how important they were to each other during that most important time of their lives. They have flashes from throughout the series the same way I had a flash of my dad popping his head into my room that day in -- what? -- 1984? Otherwise, I thought the show was well carried by a solidly-drawn and carefully planned plot line. The characters were multi-dimensional and the music (by the now well-known Michael Giacchino) was effective and done in the traditional sense of "underscore." 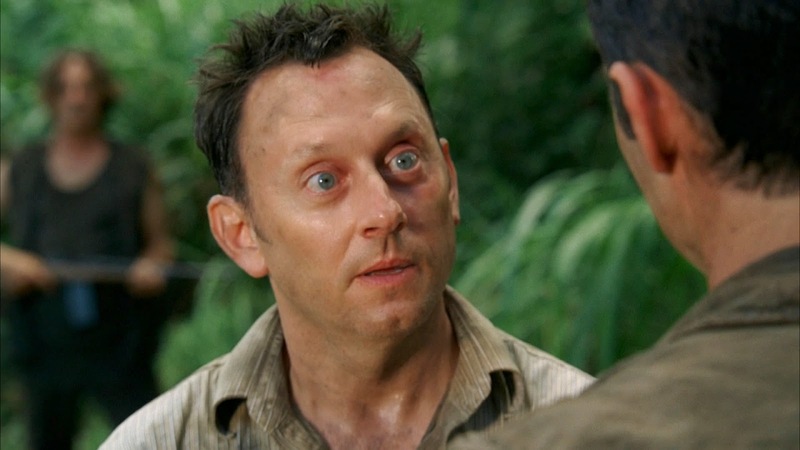 The acting was sometimes brilliant (Michael Emerson, Terry O'Quinn, Jeremy Davies, Henry Ian Cusick, Nestor Carbonell), often good (Josh Holloway, Matthew Fox, Jorge Garcia, Dominic Monaghan) and occasionally typical TV acting (Evangeline Lilly, Josh Holloway -- again, etc.). My main criticism (and one who watched week to week may not have seen this) is of the over-use of "the third actor" idea -- secrets kept by one or two characters from another that didn't need to be kept but were clearly there to advance the plot to where it needed to go. But it has substance, for sure. I particularly like the mingling of science and spiritual issues which makes the series a fantasy/sci-fi mix and not one genre or the other. Let's face it, some have no patience for those genres. I happen to like them. What the show did was to bring the genres to the TV audience at large, so one can expect neither sci-fi of Heinlein quality nor the fantasy of a Bradbury or of a Peter S. Beagle. But the show knows what it is. That is rare, these days, especially when film or TV writers try to be meaningful, as Abrahms and his team did. 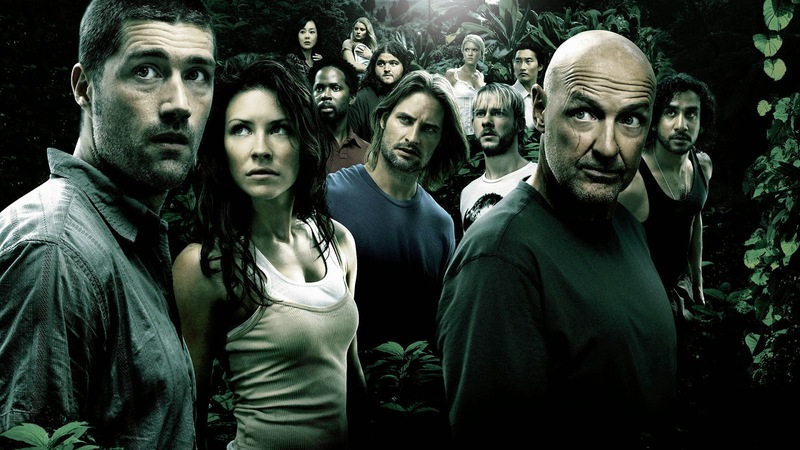 In a nutshell, Lost is a hell of an achievement. There was a clear plan to the plot and the characters were people and not just simply types. It didn't take a religious stand, but, instead, pointed out the spiritual connection we all share pre-heaven. A beautiful notion, to me. And damned if I didn't I love the book-ending idea of the dog lying down beside Jack in his final moments, the same way he had found him right after the initial crash. What did it mean? It meant a lot and it was real and true, even if I can't explain it yet. That's what "intimation" is all about. I loved Lost but felt that it had "jumped the shark" after the third series and the increasingly implausible plot devices - moving the island, travelling through time etc - were too fantastical for me. But the writing and cast were superb and even at its silliest, I still found the narrative compelling. Steerforth -- I guess it all depends on one's tolerance for sci-fi and fantasy. I saw the increasingly fantastic nature of the show as a revelation of there having been more than meets the eye -- much more; a peeling away of layers of reality, however abrupt the peeling away may have seemed. It worked for me. I was on board with most of it. But I can sure understand those who saw it as having been just too much. From what I have heard, it seems most people agree with your point of view. But you are right: it was fun enough to stick with, flaws (and there were quite a few) aside.